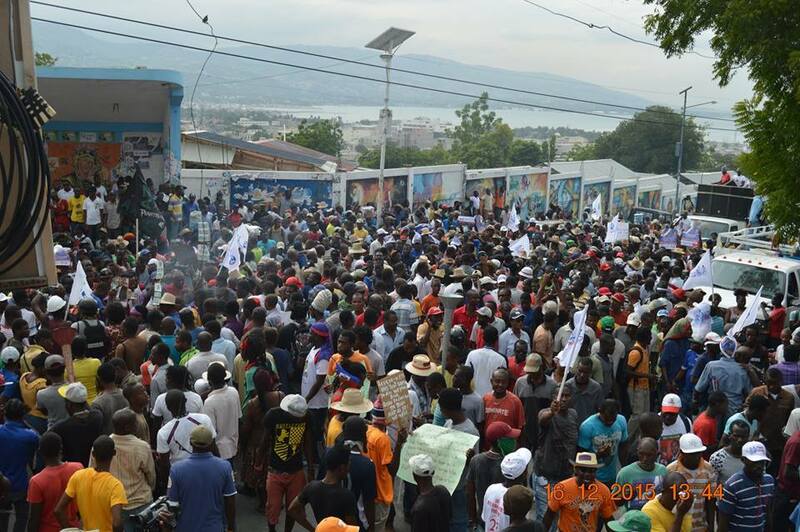 For too long, the United States has been undermined democracy in Haiti by either supporting dictatorship or electoral coups. Now, it’s the time for American taxpayers to hold U.S. officials accountable for using their dollars to fund coups and flawed elections. In a first ever democratically organized election in Dec. 16, 1990, Haitian people elected a former priest and liberation theologian, Jean-Bertrand Aristide as the country’s first democratically elected president just to see him overthrowing in bloody military coup supported by the U.S. and financed by the Haitian business elite seven months after he took office on Sept. 30, 1991. Some the coup leaders were trained at U.S. military school and were under Central Intelligence Agency ‘s (C.I.A) payroll. In Nov. 2000, in another presidential elections marked by high turnout, Aristide won a second term and his Fanmi Lavalas party won the majority of the seat in both Haitian higher and lower chambers. However, on Feb. 24, 2004, he was forced to leave the country aboard a U.S. military plane to Central African Republic then South Africa where he and his family spent 7 years in exile. His party was also banned from participating at the electoral process during those years.